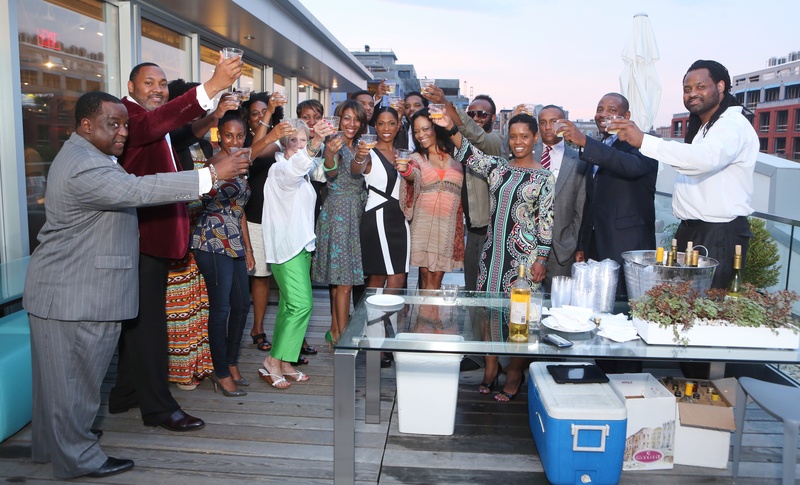 August 1st Art, Wine & Design Fundraiser for Unity A Success! Guests listen to the presentation on integrating art and design. The Art, Wine & Design Fundraiser for Unity Health Care Foundation’s Reach Out and Read Program was a huge success! 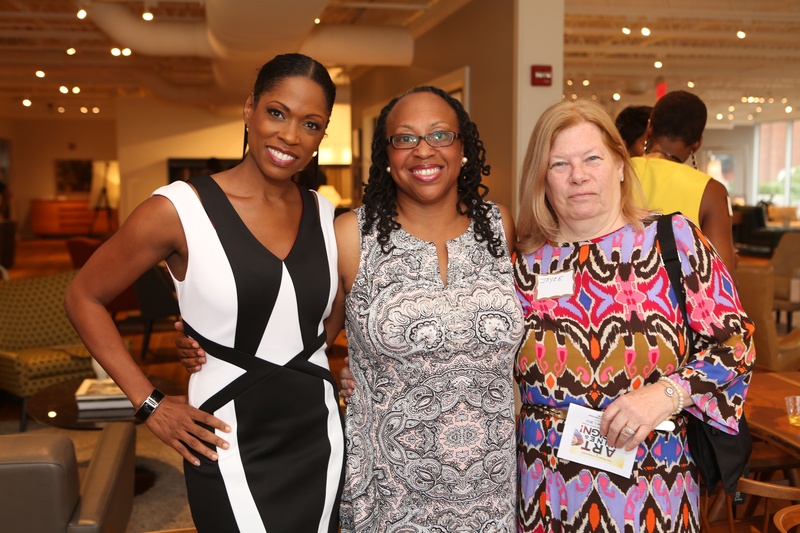 We raised funds and brought awareness of the need for literacy among young people in Washington, DC’s most underserved neighborhoods which Unity Health Care Clinics reside. Much thanks to our sponsors: Northern Real Urban Estate Ventures, Harmony Dental, and Gotta Go Now for stepping up to the plate and helping us to raise the necessary funds to create this lovely event. Many thanks to Larry White our event planner, Sharon J. Burton of The Artinista Art Advisory and Design Bureau Magazine for all the hard work and effort placed in organizing this great event. Also, Fox 5 News Anchor and artist Shawn Yancy showed some outstanding pieces of art which were for sale with proceeds benefiting Unity Health Care Foundation. 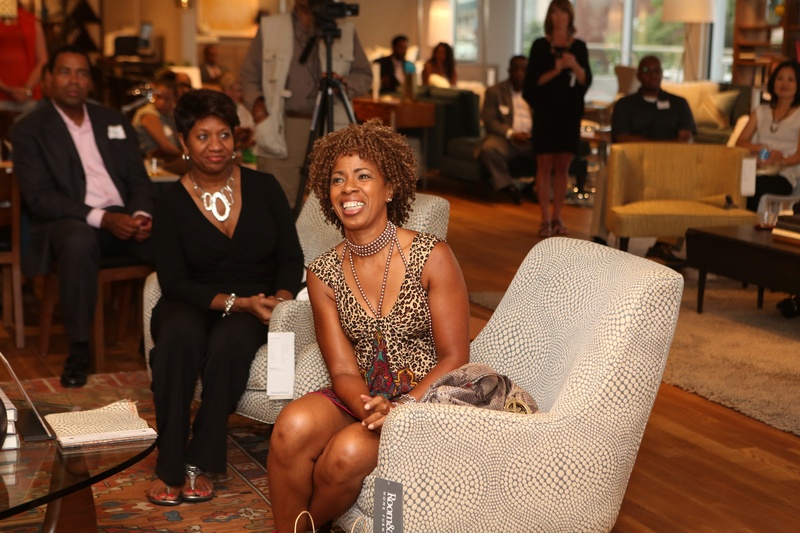 Our Advisory Committee Members: Kate Smith of Sensational Color, Marvin Bowser -Art Commission Board Member, Gina Merritt of Northern Real Estate Urban Ventures and Shawn Yancy of Fox 5 News did a wonderful job promoting and supporting the event. We are so grateful to all who came out and supported. 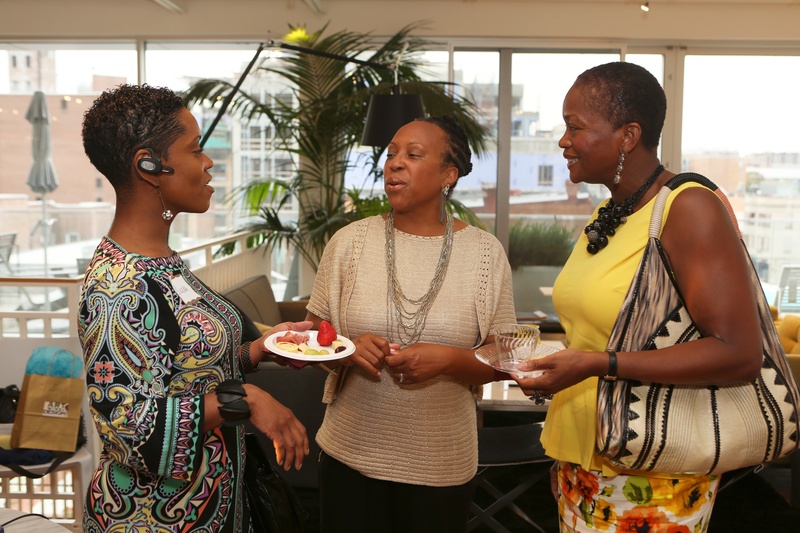 Most of all we thank Room & Board in Washington, DC for allowing us to host our event in their lovely space and rooftop! MUCH FUN!